This book will show you how to create documents of your own so you can share them on the web. 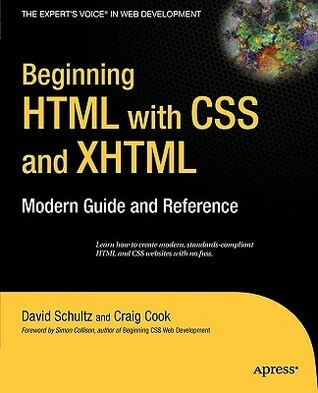 You’ll become intimately familiar with the rules and constructs of HyperText Markup Language (HTML), the computer language the web is built on. It’s a simple language, and the basic rules are easy to pick up and put to use. HTML is a tool, and once you know how to use it, you’re limited only by your imagination. Not very long ago, parts of HTML were frequently misused, and the rules were largely ignored—because we had no other choice or simply didn’t know any better. But the web has matured a lot in the last few years, and we’ve since learned that sometimes following the rules really is the best approach. Unfortunately, many of the outdated methods that came about during the web’s unruly, rebellious youth are still in common practice today. This book will help you avoid the mistakes of the past and build a better web for the future. You’ll learn how to use HTML effectively and responsibly and to make your web documents clean, meaningful, and accessible to as many people and devices as possible. bachelor of science degree in management information systems from Oakland University located in Rochester, Michigan. "CRAIG COOK" has been designing and building websites since 1998, though he still silently harbors the aspiration to draw comic books. His background is in traditional graphic design, and he has a degree in commercial graphics from Pittsburg State University (Kansas).